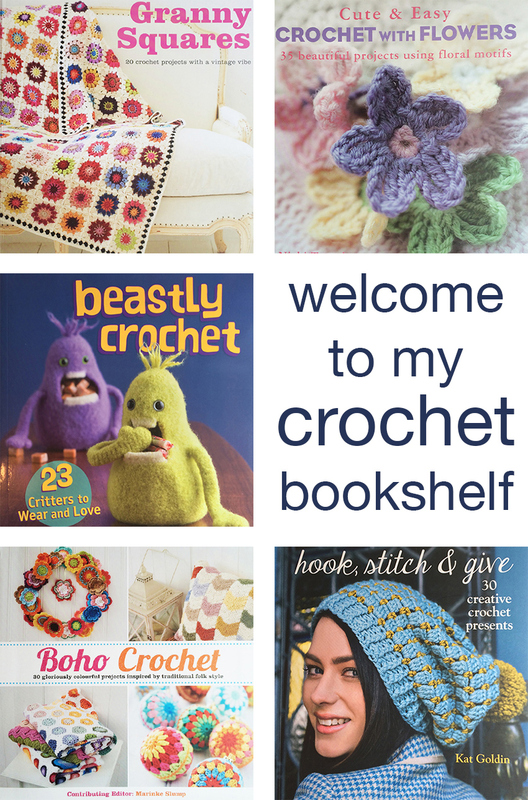 Welcome to my crochet bookshelf! 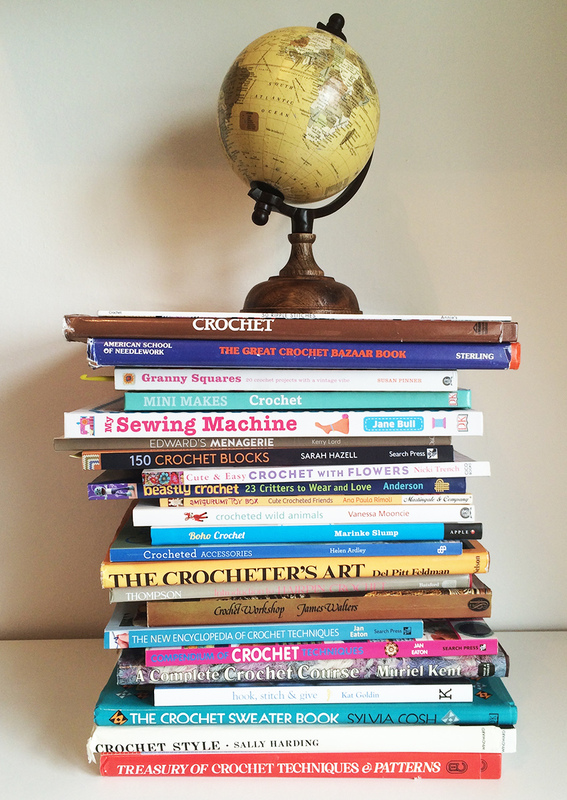 Let me help you to pick your perfect crochet books from this amazing selection. 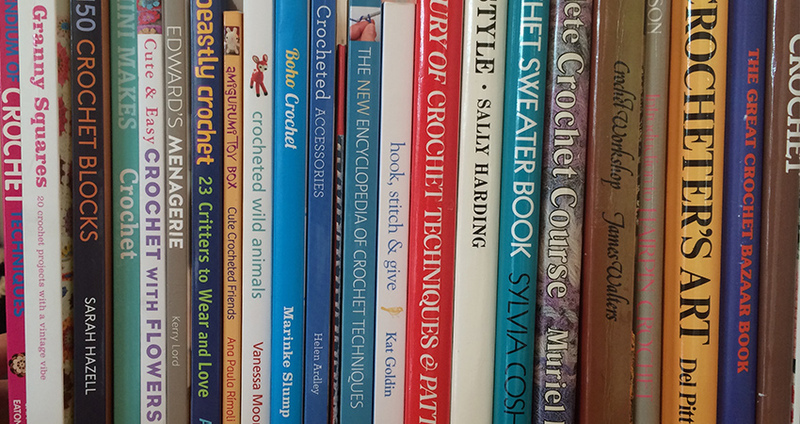 Over the last few years I have put together an enormous selection of crochet books. They range between modern crochet pattern books, modern crochet stitch guides and vintage crochet books. I highly recommend reading as many crochet books as you can get your hands on. 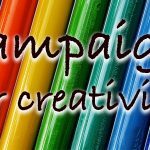 They contain a wealth of ideas for my crochet projects, as well as being great fun. I have put together a quick guide to some of the popular titles on my shelves, as well as sharing my quirkier vintage collection. I hope you find them as fascinating and inspiring as I do! Here are a selection of my crochet stitch books. They each bring different skills, techniques and interpretations. There is something new to learn even from similarly titled books. Crochet stitch books are helpful for beginners, but they make an incredible resource for experienced crocheters who want to create unique pieces and stretch their existing skills. Where my top choices are available on Amazon, I have added links for you to go and check them out. I am a big fan of 150 Crochet Blocks by Sarah Hazell. 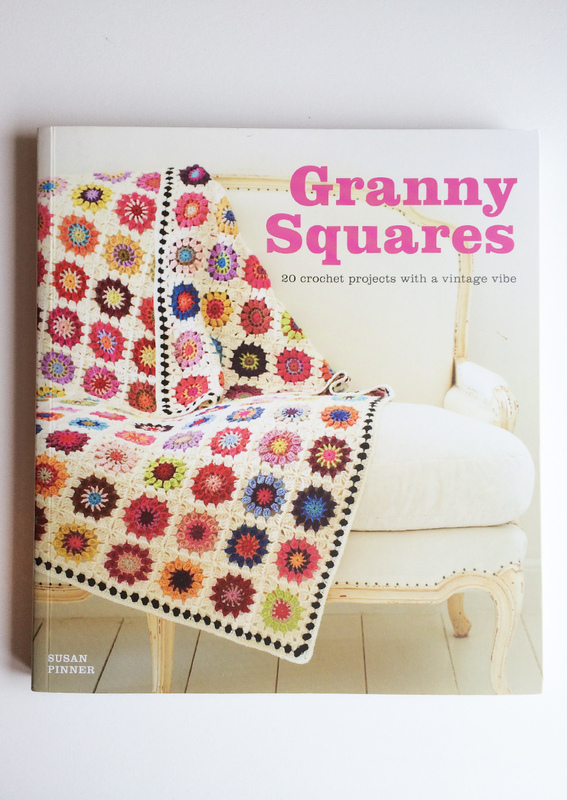 If you like to make granny square blankets, then it’s a must-have crochet stitch book. The variety of crochet blocks is very impressive, with a lot of variation and excellent detailed patterns. Although it does have a short tutorial section at the back of the book with hook illustrations, it is not the most beginner friendly crochet pattern book. I would highly recommend this book to anyone who has been crocheting for a little while and is confident reading patterns. 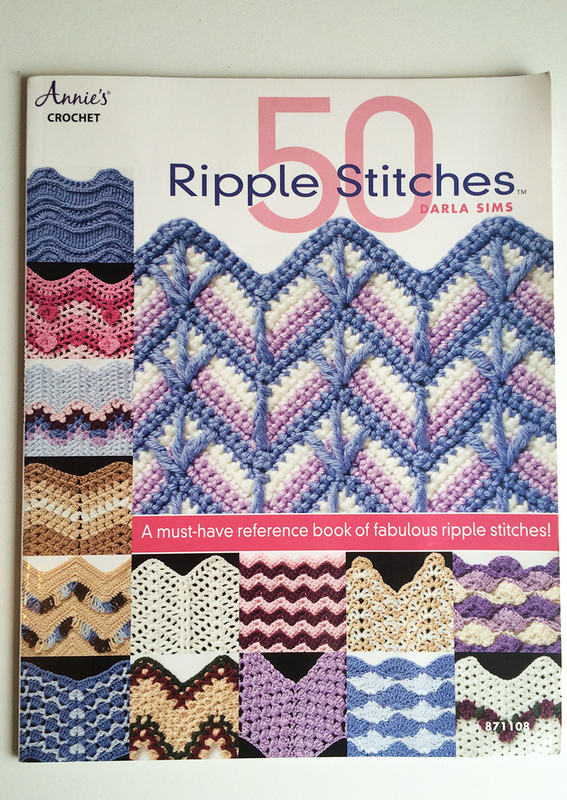 50 Ripple Stitches by Darla Sims is an incredible reference for ripple or chevron crochet stitches. The instructions are clearly laid out and the variety of ripple stitches is outstanding. Ripple stitches were something I found particularly tricky when I was learning to crochet, and I still find them more vexing than the average crochet pattern. This book has been very helpful, and I look forward to making more use of it in the future too. 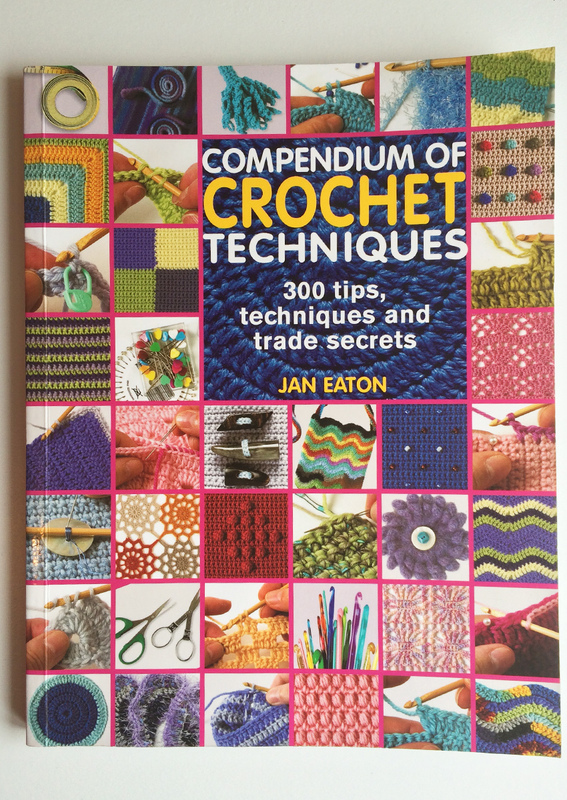 Compendium of Crochet Techniques by Jan Eaton is a good foundation guide. There are a couple of Jan Eaton books on my shelf. This was the one which I found the most helpful when I was learning to crochet. It’s instructions are clearly laid out and well illustrated. It isn’t a glamorous book with tonnes of crochet eye-candy, but it is a very information crochet foundation course. Take the time to read it thoroughly and even the most experienced crocheter will learn something new. Filet Crochet by Pam Dawson is a very clearly laid out little book. 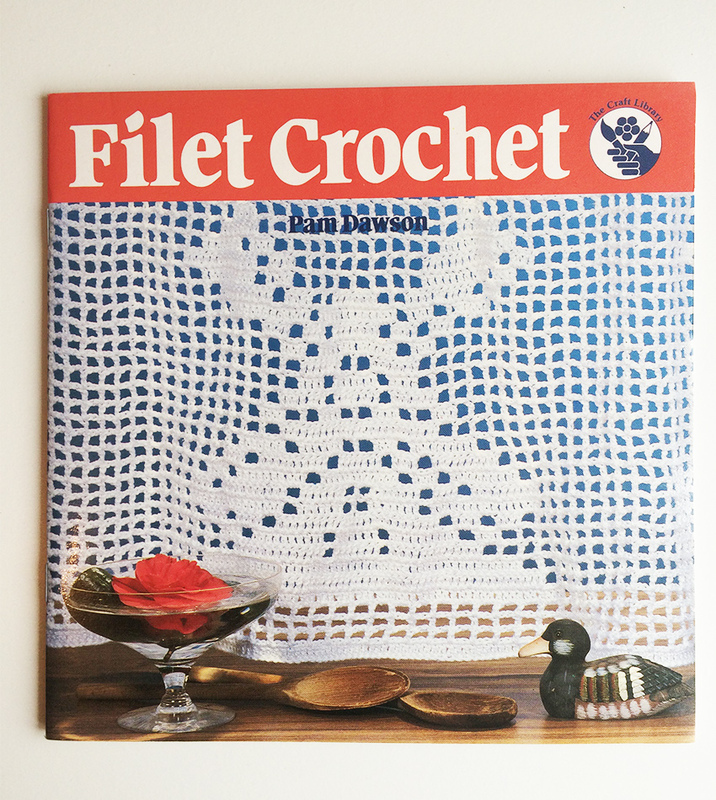 Giving a range of options for filet crochet. This isn’t an area I have explored yet, so it’s sitting on my crochet bookshelf awaiting future use. When I have gone through in detail I will share my thoughts with you further! 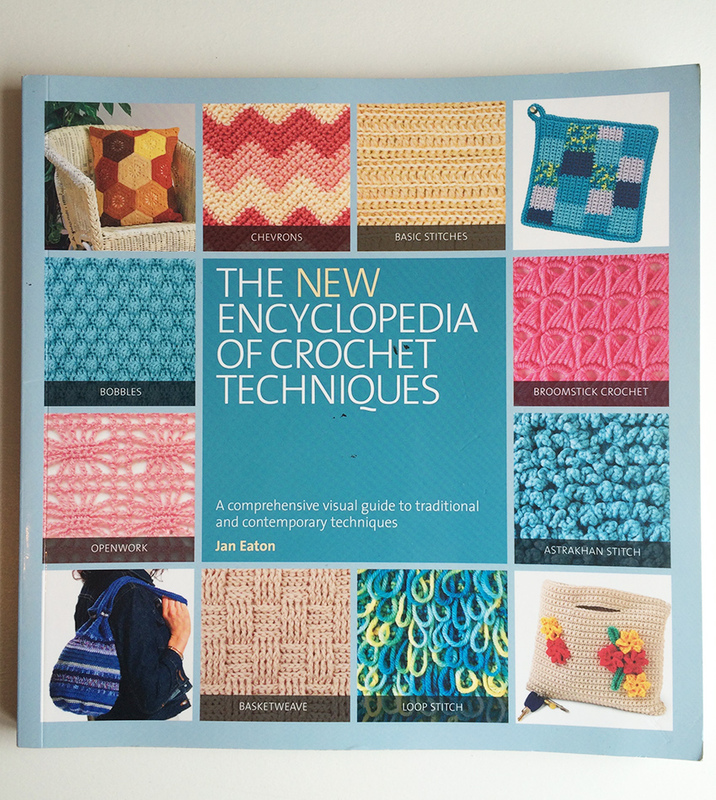 The New Encyclopedia Of Crochet Techniques by Jan Eaton is a sound beginners guide. When I started using this book as a beginner I felt it was a little lacking in detail. 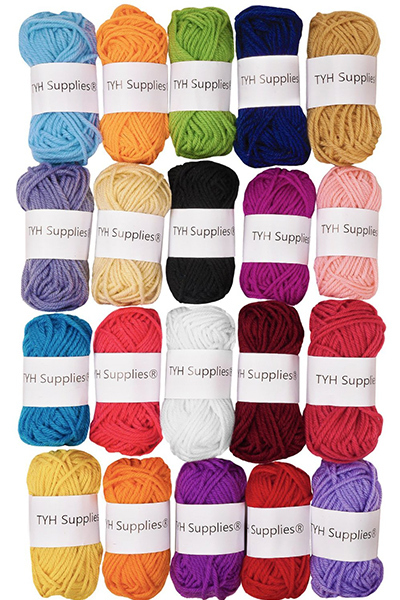 It is probably best used by someone with a few months of crocheting and a little confidence gained. In general though it has good, sensible advice with excellent illustrations to guide you to the right choice. I still leaf through the pages occasionally if I am lacking confidence in something I am putting together (or forget the names of the stitches I am writing down!). A great pillar of the keen crocheter’s collection. Crochet pattern books come in a wide range. 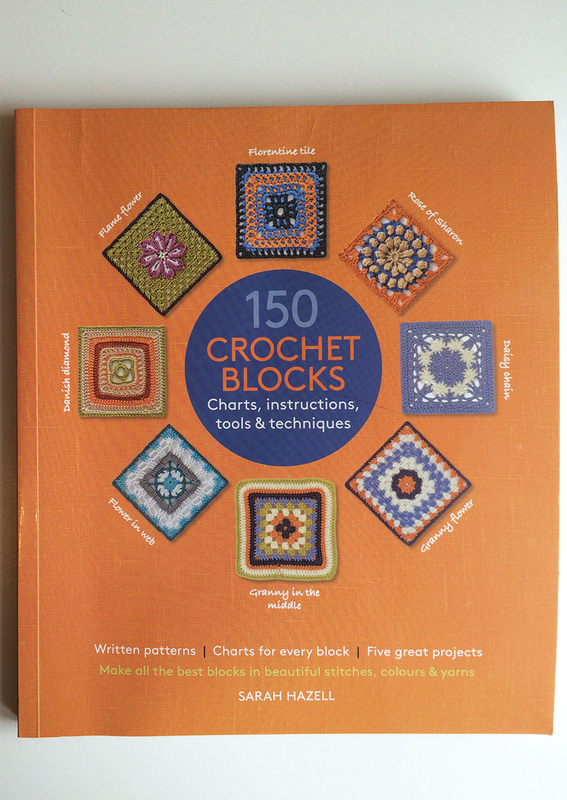 From those aimed at beginners, to books focussing on a particular style or area of crochet. 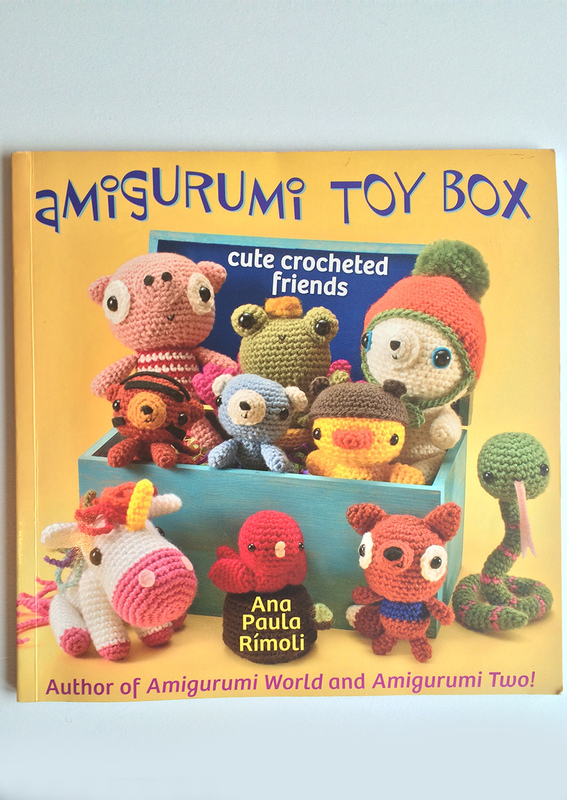 This adorable Amigurumi Toy Box book has some very characterful patterns. The quirky amigurumi style is very popular, and if you like these sweet little patterns and are crochet confident, then I would highly recommend it. It isn’t an ideal choice for beginners, as the instructions at the back are brief. The patterns are given immediately in crochet abbreviations, so you will need to be familiar in their meanings before you begin. But if you are happy with reading patterns, then this fun and sweet guide will give you hours of entertainment. “Beastly Crochet” by Brenda K.B. Anderson is a fun and very visual book. 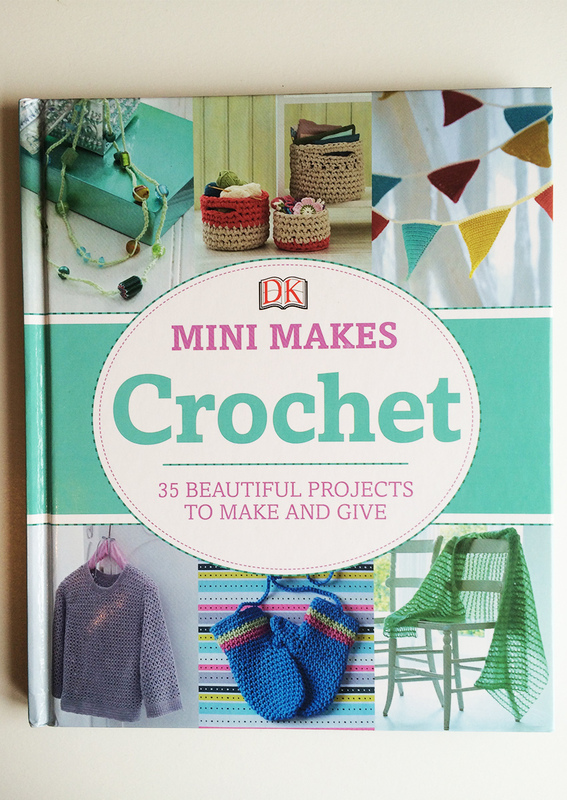 It’s not a traditional crochet book, but rather contains fun, quirky ideas and patterns for crochet lovers. It doesn’t contain a vast number of patterns, but those which it does are well laid out and described. There is also a big range, from kids clothing to toys and accessories. Great for crochet lovers who want something a bit different to make for the kids in their lives. 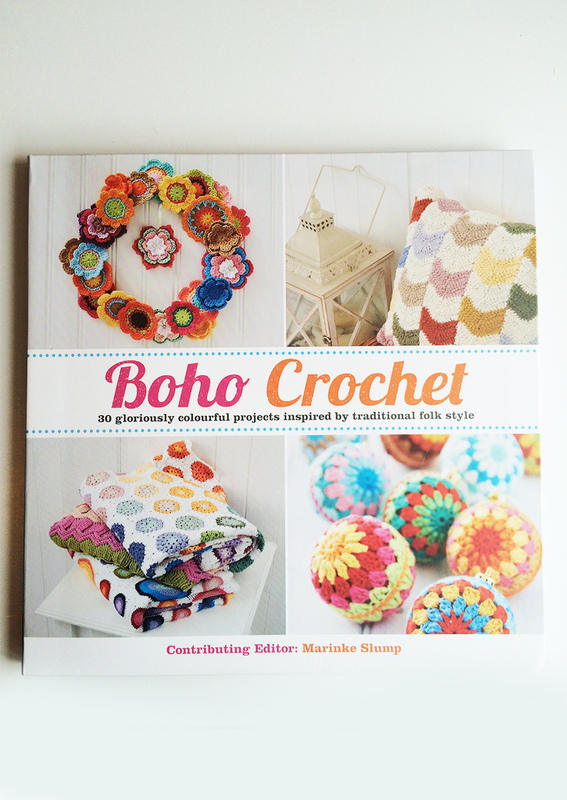 Boho Crochet is a very bright, modern crochet book with a friendly feel to it. The range of patterns is good, and the introductory project selector section at the beginning is a great way to quickly find the sort of thing you were looking for. This beautiful guide was put together by Marinke (Wink) Slump, who also created several of the patterns included. Her death was a great loss to the online crochet community, but her incredible talent is well remembered in this fabulously styled crochet pattern book. Crochet Mini Makes is a lovely book, but it is surprisingly dated in appearance for such a recently published crochet pattern book. The color combinations used are quite staid and there is something very formal about the feeling of the book. This said, it has some excellent qualities. The stitch guides are superbly clear with step by step photographs showing exactly how each one should be carried out. The patterns it contains are also universally useful, with staple crochet items like hats, bags and cushions. Overall, a great first crochet book for beginners. 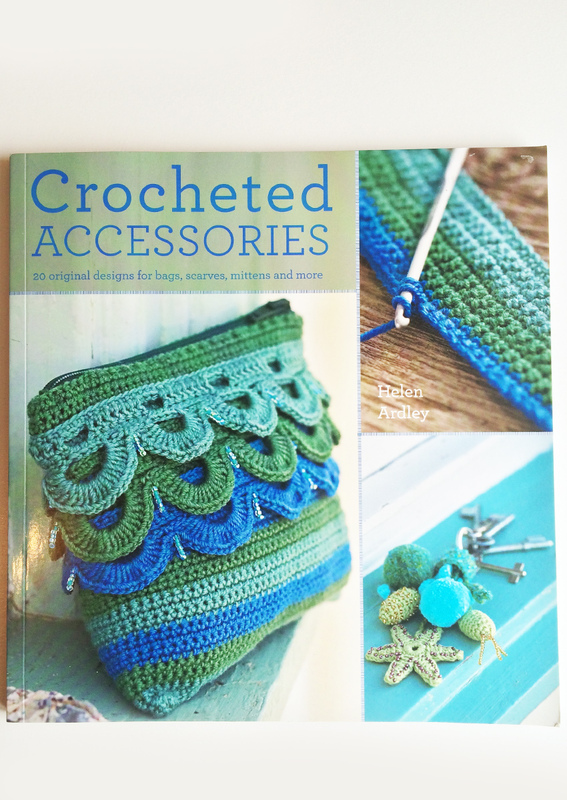 Crocheted Accessories by Helen Ardley is not perhaps as visually pleasing as some of the other books on this list, with slightly more old fashioned patterns and colors. The range of ideas is broad however, and the tutorial section is nice and clear. There are some lovely perhaps more mature items shown in this book, although some of the colors are not to my taste this is something that is easy to solve with a dash of imagination when you are creating them. 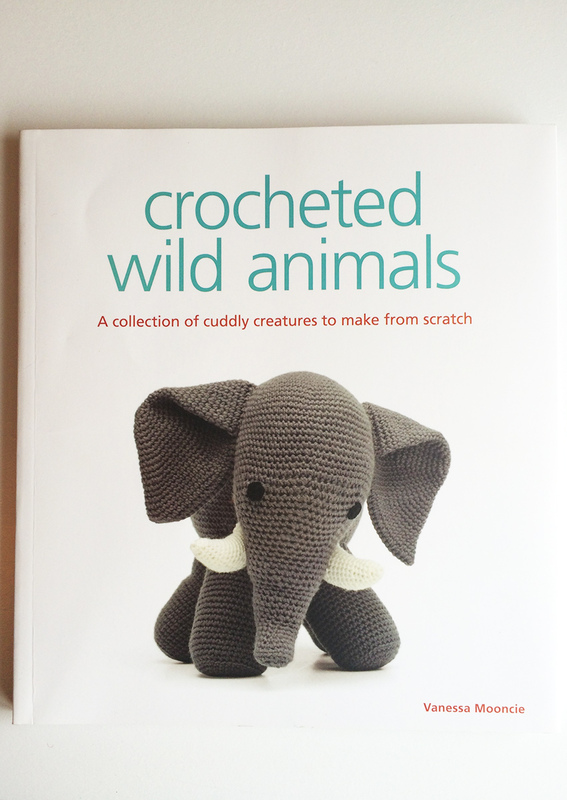 Crocheted Wild Animals has some beautiful patterns, but is a bit of a mixed bag over all. There are some gorgeous patterns, one of which I slaved over when I was still fairly new to crochet. They are a specific sort of pattern, at the realistic end of the spectrum and intricately designed. The downside of the book is that patterns are not the easiest to follow, requiring a bit of concentration and your thinking cap to be firmly on your head. 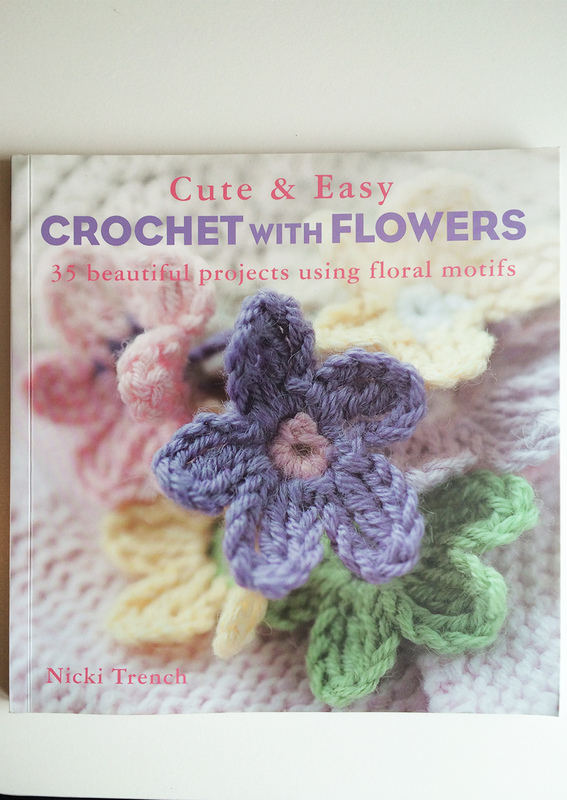 This is a lovely crochet pattern book, and focusses on a very popular crochet theme – the flower. It’s not just limited to slower designs either, including several everyday crochet items and sweet ways that they can be included in the designs. The stitches are well illustrated for the benefit of crochet beginners, and the patterns are clearly detailed and well described. I love looking through this book even when I’m not planning any particular project, and must admit to being quite envious of some of the lovely rooms pictured in it too! I have to be honest, I’m a little biased here. Edward’s Menagerie has a special place in my heart. 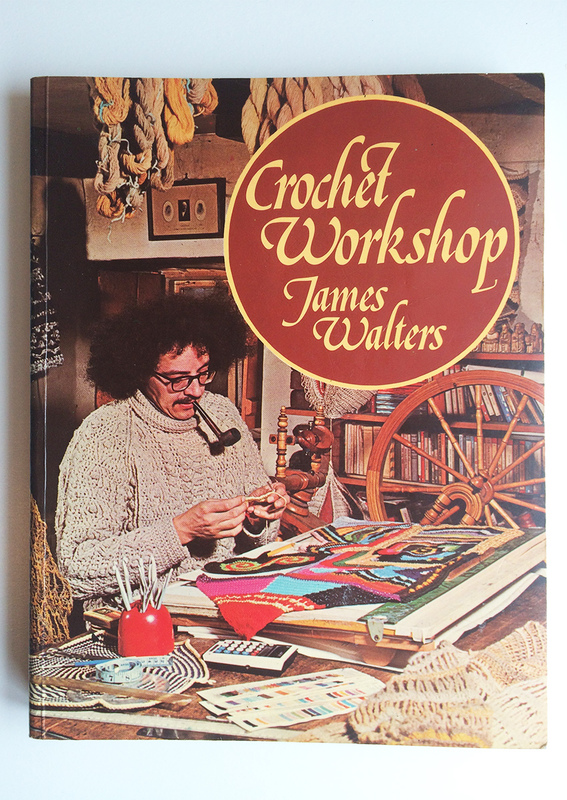 It was the first crochet book I ever owned, and was given to me very soon after I’d started out, by my Mum. I still frequently flick through it, and I adore the style of the animals depicted. The book begins with a fantastic general walk through to making crochet animals, which is useful throughout the book. Even as a beginner I therefore had a fair amount of success when following these patterns. The only negative point I can think of is that some of the descriptions given before the patterns are, to be frank, bizarre. Giving odd backstories and personalities to the patterns, which give a humorous if totally irrelevant padding to the rest of this excellent guide. 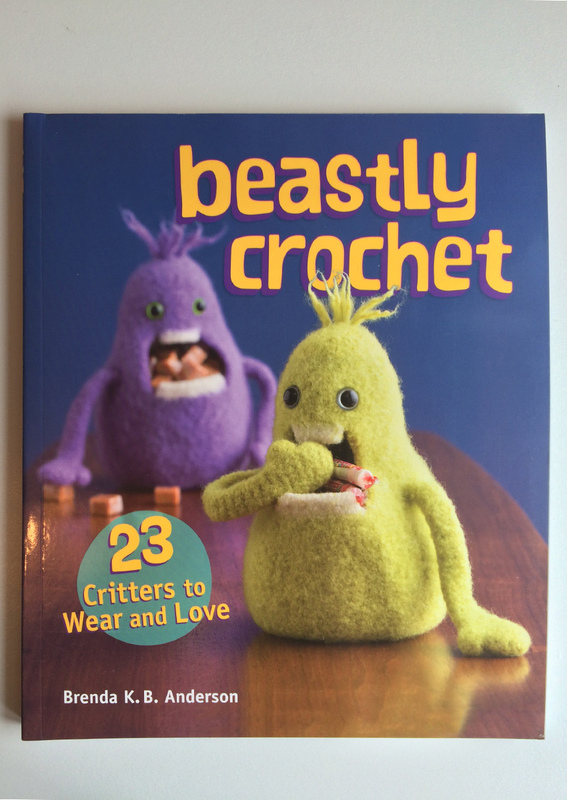 This aside, I can’t recommend this book enough if you are interested in crocheting some seriously adorable and fairly kid friendly crochet toys. Granny Squares by Susan Pinner has a great ‘Getting Started’ section, with good advice on hooks, yarn and basic crochet techniques. There are twenty crochet patterns to follow in this book, and they are each based on a different type of granny square design. The book itself is bright, cheerful and nicely written. A great addition for any granny square fans out there. 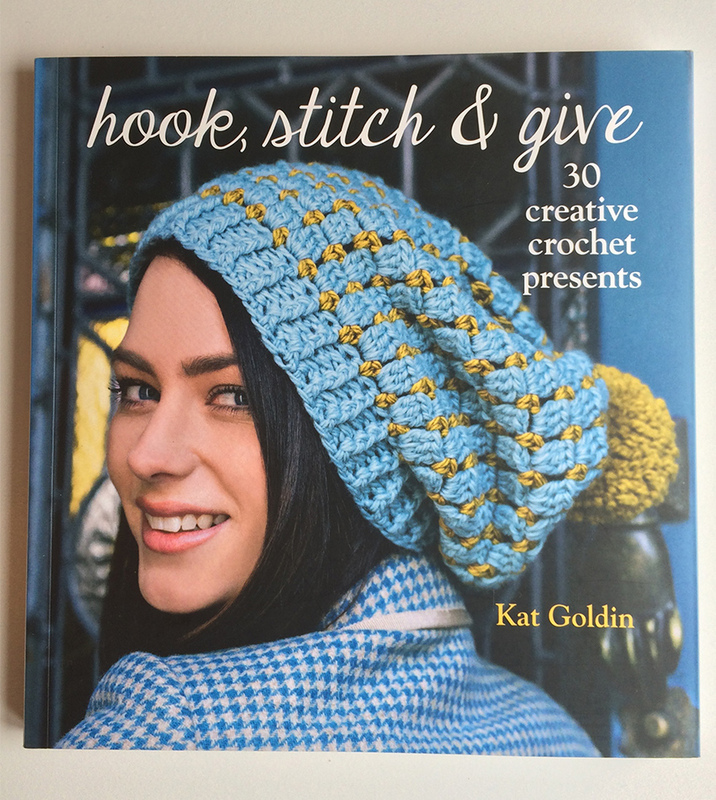 Hook, Stitch & Give is visually one of my favorite crochet books, and regularly gets flicked through. I have never followed a pattern from it because it’s a fairly recent acquisition and I can see how to produce the items without reading them, so for me it’s simply a great source of inspiration. This said, the photography is beautiful and the patterns are well written, and I think that this would make an excellent first crochet pattern book for someone who is just starting to dip their toes into the crochet waters. My vintage crochet bookshelf is something that I hold very dear. They contain a wealth of information, but also just an amazing historical array of images and ideas. You can find out more about the contents of some of these books in my Vintage Crochet Books article here. 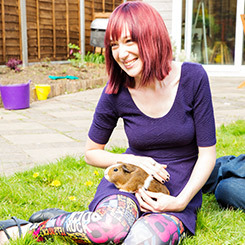 A Complete Crochet Course is lacking in photographs, but makes up for it with diagrams illustrating techniques and basic patterns for creating your own crochet clothing. An interesting insight into how crochet could have been picked up before the wonderful world of the internet. This book is incredibly dated, but not in quite the same bold way as some of my older guides. I suspect this is because it’s just a touch earlier, and therefore the extravert 80’s wasn’t in full swing when it came into creation. It does however contain some very interesting patterns, including crocheted halter top and the fun glitter caps that were so popular then. There is also an amazing shaggy bear bathmat, which I will definitely be trying one day. 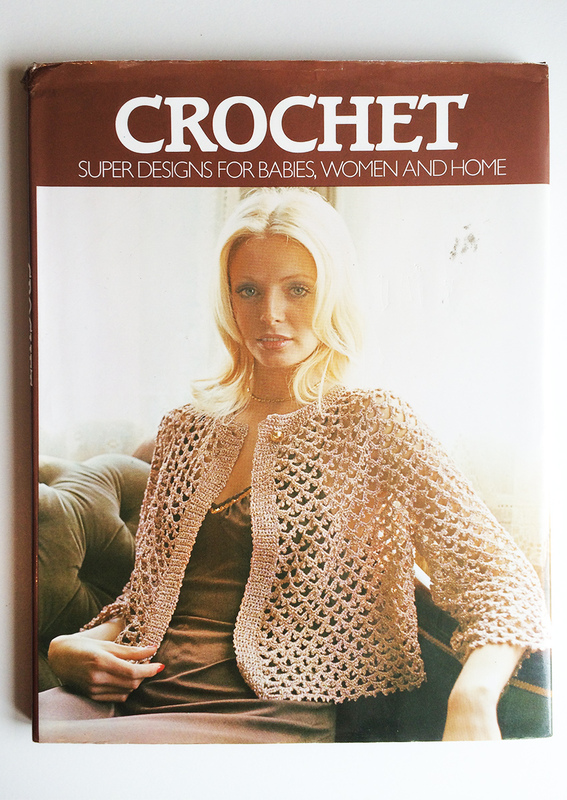 One of the more recent additions to my Crochet Bookshelf, this book really is blast from the past. It contains clear illustrated instructions for crochet beginners, and some very funky vintage patterns. Not to mention great fun 1970’s photographs as shown on the rather stunning cover here. 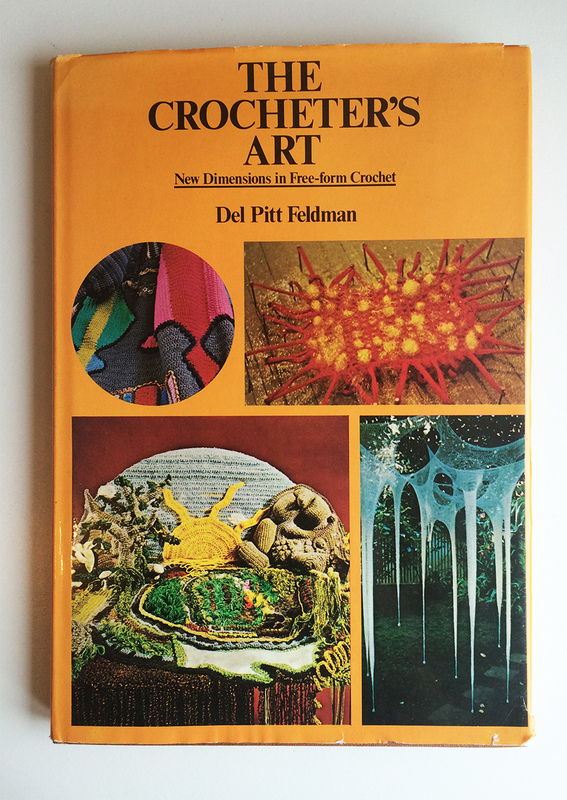 The Crocheter’s Art is one of my very favorite crochet books, although for a slightly different reason. It is primarily a pictorial collection of amazing artistic works of crochet including pictures, scenes and fabulous sculptures from a range of cultures and inspirations. 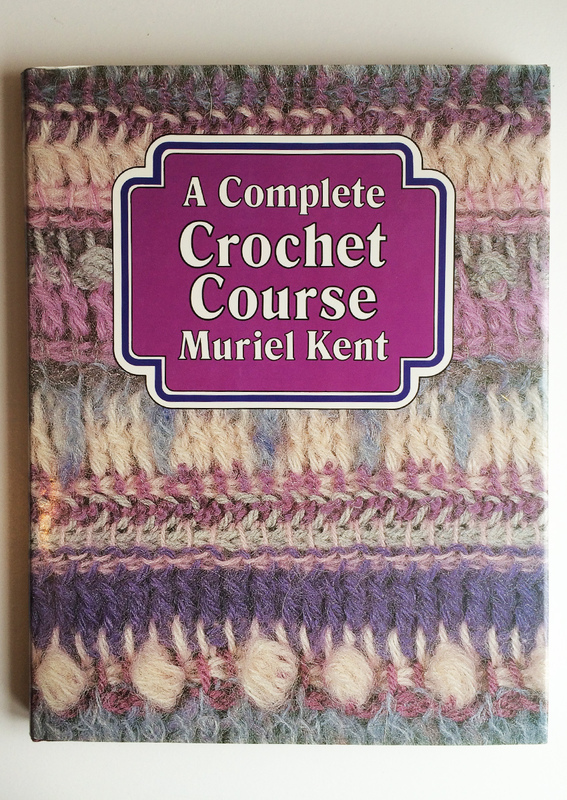 If you are thinking of doing something a bit different with your crochet skills, then I highly recommend tracking down a copy of this guide. This is one of my favorite books. It’s vintage crochet gold. The 80’s style illustrations are fabulous, with some really extravagant puffed sleeves and bold geometric designs. 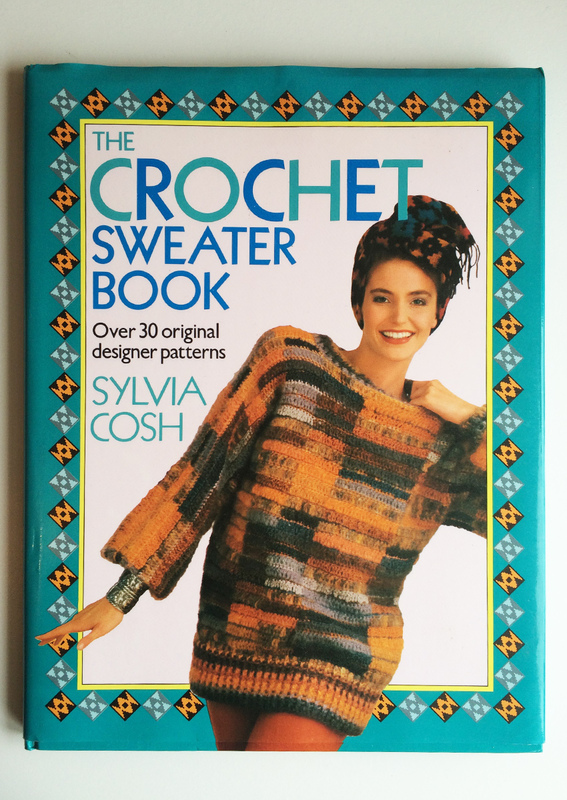 The author, Sylvia Cosh, is one of the best known crochet artists and clothing designers of the 70’s and 80’s and was incredibly well respected in the field. It also gives a great basis for crochet sweaters that can be altered to suit today’s tastes. I am currently working on adapting and updating a crochet sweater pattern from this book, to modernise it and make it more fashionable. 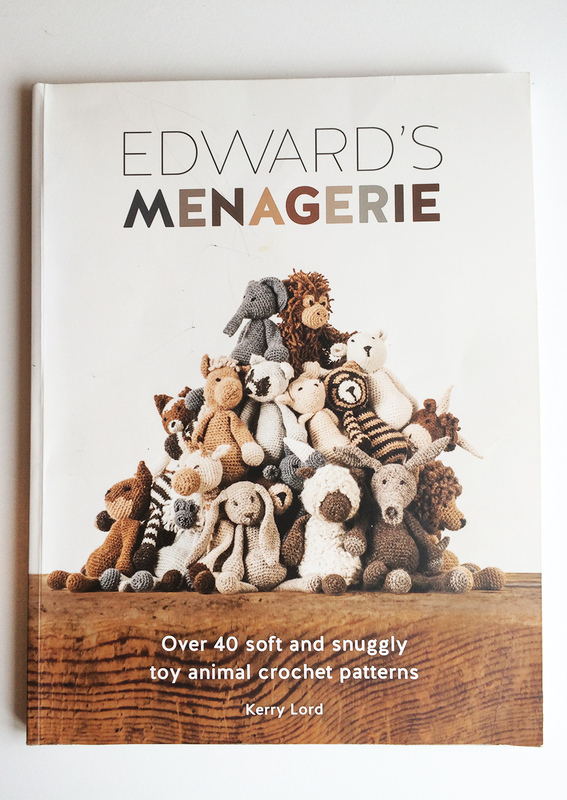 It’s fairly clear in terms of patterns, and for any confident crocheter it’s worth picking up a copy to see if you can adapt the patterns to suit your tastes. 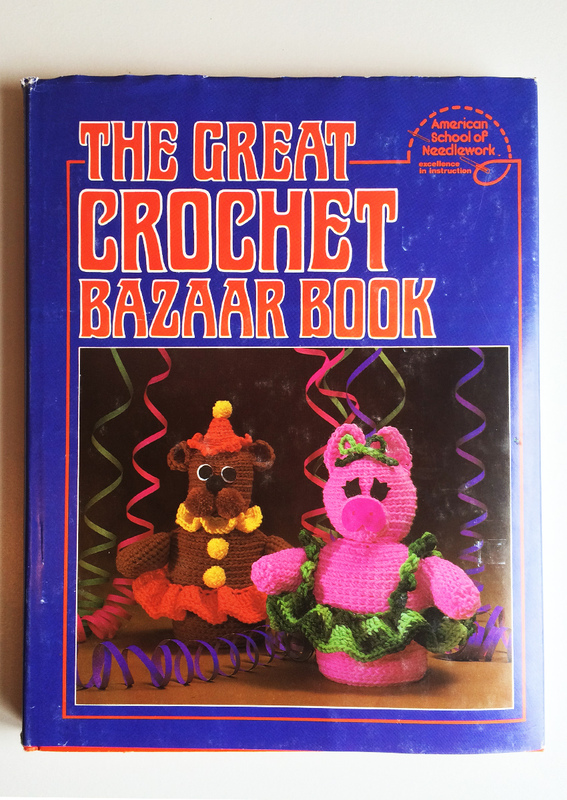 The Great Crochet Bazzaar Book is as bizarre as it is bazaar. There are some amazing crochet toy ideas, blankets and clothes. You can see details of this and the amazing “Treasury of Crochet Techniques and Patterns” in my Vintage Crochet Books article here. I hope that you enjoy filling your crochet bookshelf as much as I have. If there are any suggestions of crochet books you love, please do feel free to let us know about them in the comments section below!